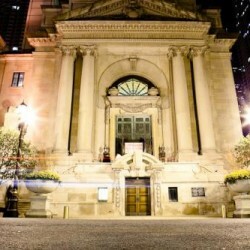 Welcome to The Murphy, just steps away from North Michigan Avenue in Chicago. You are about to view an amazing historical venue that captures attention of everyone that passes through its bronze Tiffany doors. 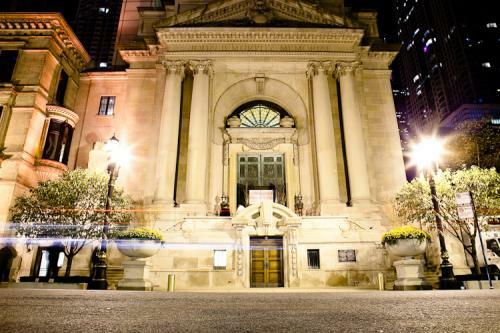 Host to Mayor Richard M. Daley and the Chicago City Council, Notre Dame University, Steppenwolf Theatre, The Knot, and many others, the Murphy provides the highest level of elegance and professionalism for all special events. The Murphy was built in 1923 for the American College of Surgeons and was designed to host their meetings and serve as a center for education in surgery. This gorgeous building is reminiscent of the Chapelle de Notre-Dame in Paris, France. The Murphy was refurbished several years ago to its original ornate beauty and splendor and is now ready to host your event. The American College of Surgeons still owns and operates the building. 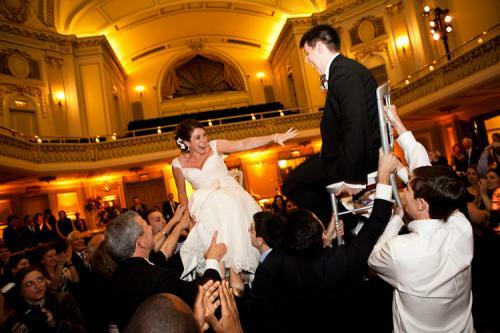 Gaining considerable attention in the past several years, The Murphy has hosted weddings – both ceremony and reception, corporate events, fashion shows, concerts, product launches, social events, holiday parties, campaign events, and much more. 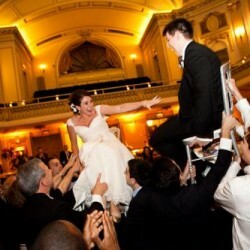 Rental of the space can be accomplished for a competitive fee. 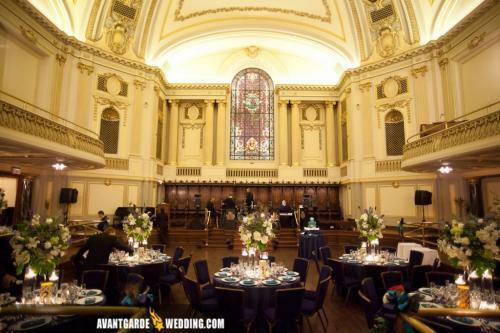 Working with Chicago’s top catering, décor and AV vendors, you can have a magnificent event in the ballroom space which accommodates 210 people for a seated dinner, 350 for a reception and 520 for a theater performance. 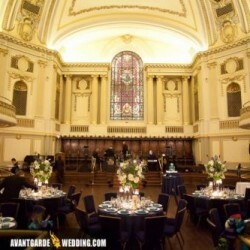 Rich mahogany floors, marble staircases, French Renaissance décor is the back drop to this amazing venue.